Free Cell Phone Service - Discover Your Options! Are you in a tough situation and could benefit from free cell phone service? Well, look no further, because there are a number of options available for income eligible households to get a free prepaid cell phone including free voice minutes and text messages! There are government sponsored programs that have partnered with select prepaid carriers to subsidize the cost of phones and service, enabling access to free phones and service for households that meet the minimum qualifications. The spirit of these programs is based on the belief that cell phone service should be accessible to everyone. Most of us take cell phones for granted. Even though I can remember when I was the only one amongst my friends and family who started using my cell phone as my primary phone (i.e. not just for emergencies or on-the-go communications), these days wireless phones are essentially killing off landlines, with many people even having more than one cell phone (ex. work and personal devices). In fact, people expect their friends and family to be accessible via cell phone all the time. This type of mentality can be compared to having access to television; it's just something everyone is expected to have to be appropriately integrated into society. Is a cell phone a basic human right? The other mentality is that although cell phones are useful, convenient, and can even save lives in an emergency, should having one really be considered a "right?" If someone is struggling financially to keep a roof over their head, or to get food on the table, should the government really be concerned about getting people access to cell phones? Wouldn't that money be better spent on housing the homeless, and feeding the hungry. Particularly in tough economic times when there is less money available for government assistance programs to take care of basic needs, education for children, etc., is it responsible for the government to be spending money on free cell phone service? That said, it's important to keep in mind that most of these free programs, while government managed, use funds from telecom fees collected from wireless providers. Thus, funds aren't coming from tax payer money, but rather from cell phone users who indirectly contribute to this kind of fund. Learn more and/or share your thoughts! I'm actually intentionally not sharing my personal point of view here ;-). I simply want to provide visitors to this page the different viewpoints, in order to stimulate thought and discussion around this topic. You can click on the company logos below to learn more about each specific program offering free cell phone service, or you can scroll down to share your thoughts and opinions as to whether or not having access to a cell phone should be a fundamental human right....or not! You can also learn more about the overall FCC-sponsored Lifeline Phone Service, and changes they're making to help prevent abuse and fraud. Visit the Lifeline Providers page to compare! Learn About The Airfair Lifeline Reload Card! Also have paid plans if you have higher usage needs. Also offer free mobile broadband. Requires activation fee and Auto Top Up balance of $20 to cover overages. i.e. Need to monitor usage or you will be charged overages up to $20. Also have paid plans available. Plays ads when you dial out (instead of a ring tone), which helps fund the service. Read about their Technology Change that affects some plans. 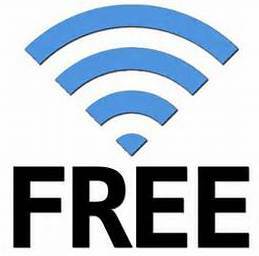 Learn About Free Broadband Internet Service! Share Your Thoughts & Experiences About Free Wireless Phone Service! Do you think that having access to a cell phone should be considered a basic human right that governments should pay for? Do you have first-hand experience with any of the programs listed? Do you prefer the free minutes approach, or the account credit approach? Click below to read what other visitors to the site think!